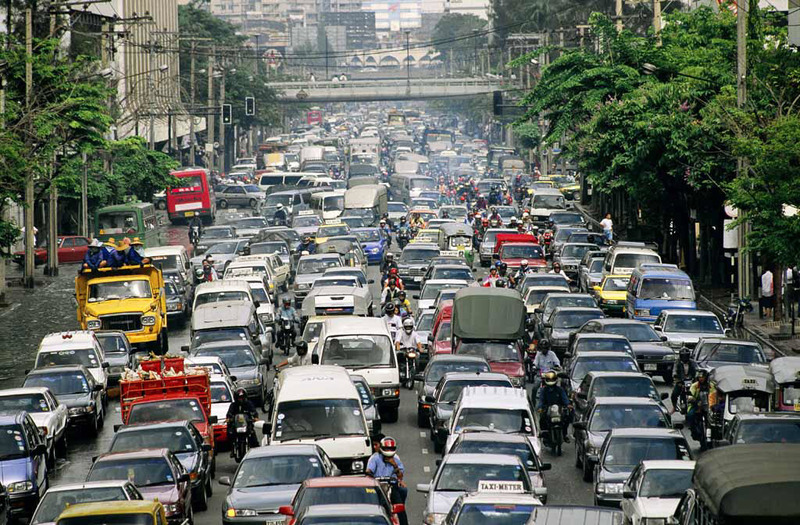 Why is traffic in Bangkok so bad? This is a persistent question that has been at the back of my mind for the more than five years I’ve lived here. As someone interested in urban design and land use, I always wonder: Is this traffic inevitable or could it have been avoided? While bicycling on the outskirts of the city last Sunday, I realized that part of the answer lies in looking at the historical land use patterns and how long, thin rice paddies that cut between canals have led to a network of roads that are insufficient to handle Bangkok’s more than six million residents. While this realization is the result of consuming other people’s writing and observations and digesting them, it wasn’t until I was riding through an area that is actively undergoing the transformation from rice paddies to development that it became clear to me. The result is this six-minute video project, which I hope you’ll find interesting. This entry was posted in Uncategorized and tagged Bangkok, Design, Development, Krungthep, Land Use, planning, Thailand, transit, urban by christao408. Bookmark the permalink. Very interesting and well-thought-out video and analysis of Bangkok traffic. No wonder I always felt to be the middle of traffic jam chaos there. A motorcycle ran over my foot there on the sidewalk one time. I get scared of walking across the street. Is riding a bicycle dangerous as I assume you live in the middle of it all. I am amazed how u were able to move the camera around you on a dime, great skill. Chris, you should definitely visit India! That’s all I am going to say. I think it is just Bangkok. I lived in the country, it wasn’t this bad and neither was Chiang Mai. Similar to Madrid, Spain. I think what brings this about is that the city is very old, has no room for expansion and with the population build up and people buying tons of cars, all this mess has nowhere to go.My thinking is, sooner or later this will be a worldwide problem. So cities wouldn’t have any place else to go but up. Leaving roads and buildings to be built up in higher levels in the sky. @amygwen – Oh, I agree it is an issue of the city, not the country as a whole. 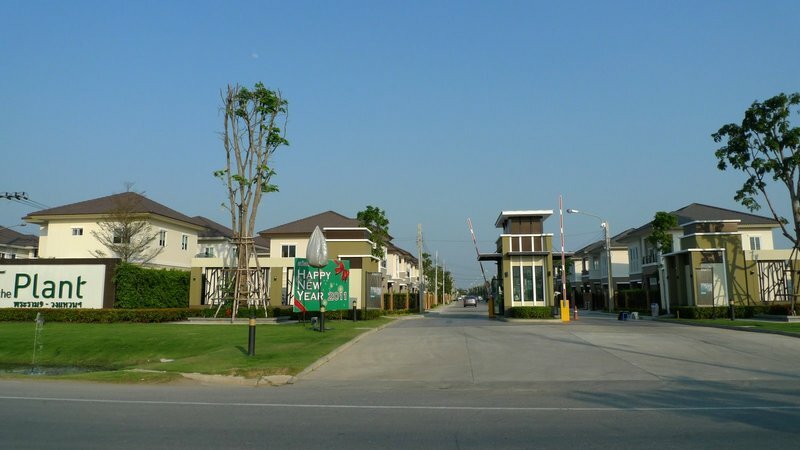 But we’re seeing enormous growth and expansion of the cities – Bangkok as well as Chiang Mai and Pattaya. Eastern Bangkok (heading towards the airport) has been particularly apparent to me because I’ve been cycling out there for more than four years and have watched as what was mostly open countryside is rapidly being developed. The same is being seen up in Chiang Mai. Friends who have lived there over a ten-year period have watched as the city has become much larger and much more congested. Thankfully, land use patterns up there are a little more efficient. @The_Eyes_Of_A_Painter – Definitely a problem in old cities with limited space. That isn’t the case in Bangkok because there is a ton of empty land around the city. It continues to expand. 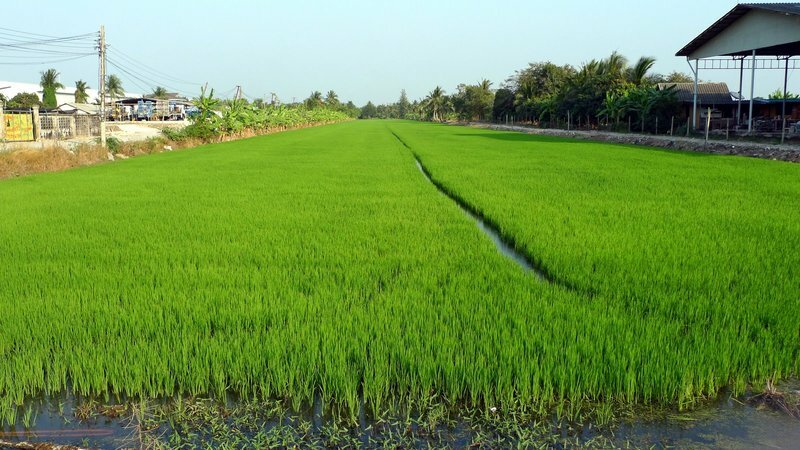 The challenge for Bangkok is that previously agricultural areas are being developed following the same patterns – and, subsequently, the same constraints and future problems will result. Same situation in Manila, eternally heavy traffic! I can see the older cities having problems with the expanding population and the expanding use of cars. Urban planning ha saved some of the younger cities. I am not sure there is a simple answer other and the bike or feet. I think the pictures show the traffic to be slightly more orderly than it is in India. heh heh. @christao408 – haha They do! NYC people ignore the lights too. I can’t cross the street on my light without looking for cars. There’s always one person trying to make a red light. The urban sprawl in Toronto is pretty bad. We don’t have a lot of good farmland in Canada. Most of it is in the southern parts of the country (because of the climate and geography). Of course, that’s where most of the population is too. I remember on a trip to Kyoto, I got off a bus to visit a temple and right across the street was a small plot of rice field. It was just amazing to me.